The first issue of the Azurth Adventures Digest print edition is back on sale! Twenty-eight full color pages at 5.5 in. x 7.75 in. with art by Jeff Call and Jason Sholtis. 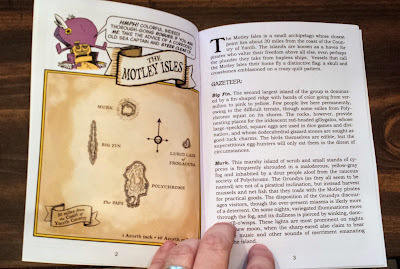 There are random tables for the generation of quirky Motley pirates, a survey of interesting and enigmatic islands, and a mini-adventure on the Candy Isle. 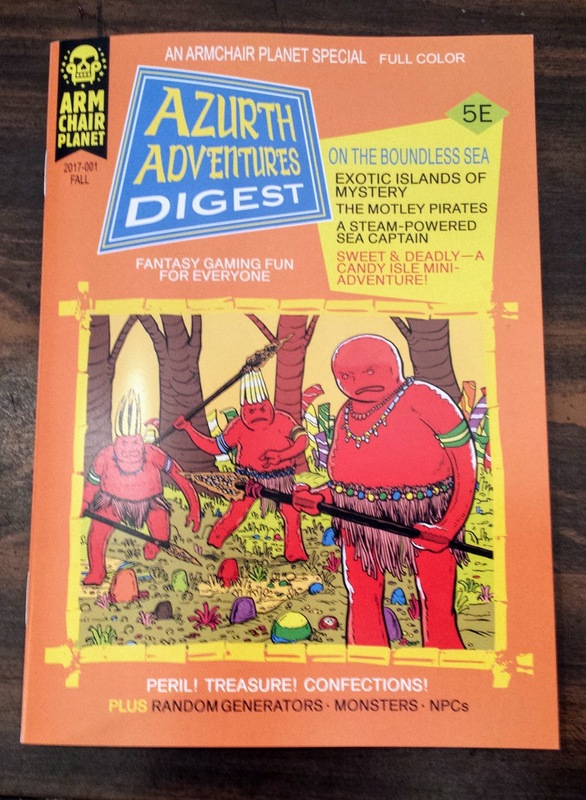 Plus, there are NPCs and a couple of monsters, all straight from my Land of Azurth 5e campaign.